With Remembrance Sunday approaching, we took time out this week to remember those who lost their lives in prior conflicts. It will soon be Remembrance Sunday, where we all unite together and remember the thousands of people who lost their lives for the sake of the generations that would come after them. For the sake of us. As we remember the First and Second World Wars, we also remember those suffering right now across the world who are caught up in wars. Right from the very beginning of the Oasis story we were reminded of all the terrible things people do to each other here in the UK and around the world. Our very first Oasis client was Dan, a man fleeing from his homeland in Angola. I remember the first day we met him. He was tired, cold and very alone. As we helped sort out all the problems Dan was facing settling into the UK his tragic story began to spill out. Dan had fled his homeland after soldiers had ransacked his village. “We lost everything, including people we loved”. The soldiers tried to recruit all the young boys still alive in our village. Dan continued “If I hadn’t have left my village, the soldiers would have made me do the same horrible things I had seen them do to my friends and family”. So Dan, still in his teens, started the dangerous journey to Europe on his own to find a safe place to rebuild his life. Since then we have had the privilege of supporting literally hundreds of individuals and families caught up in terrible wars around the world. As we have welcomed them into our Oasis community, they have shared their lives with us, their tears, laughter, culture and their great kindness with us. I can honestly say we are blessed because of the hundreds of asylum seekers and refugees who have found their way into Oasis. They have taught us so much and we are the richer for them! 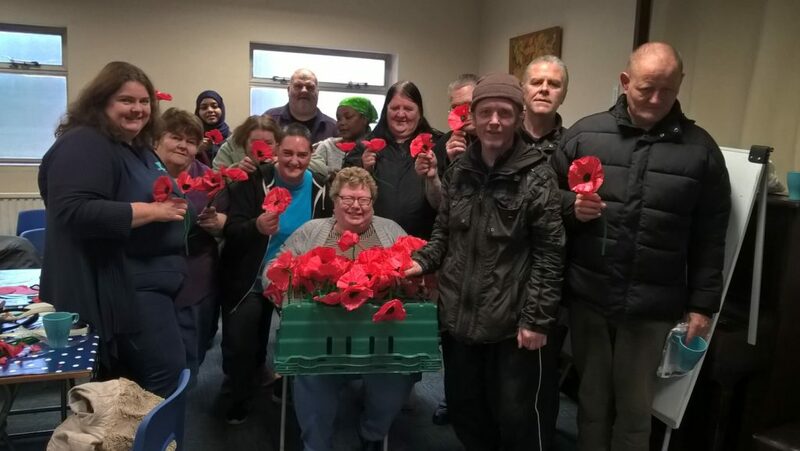 As we remember those who sacrificed their very lives to give us our future this Remembrance Sunday, we all have an opportunity to love our asylum and refugee neighbours across the world... demonstrating the we truly do remember!